The Lake Wendouree Football Netball Club is abuzz for the 2015 Season. We salute our original visionaries who had the foresight to form our great club 20 years ago and to all those who have since contributed to the club over the years we say thank you. It was no easy task starting up a new Club, recruiting players, sourcing volunteers and raising the funds to get everything up and running - We hope those involved in the early years feel proud of their achievements and are excited to see how far we have come as we celebrate 20 great years. Who will forget the Lakers ground teeming with players early in 1995 wanting to play under our great coach. The place was buzzing with anticipation despite the doomsayers predicting we wouldn't win a game in 1995- we won more than one, in fact we made the finals in year one and played off in the GF in 1996 and 1997 which was a phenomenal effort after starting from scratch. The renowned "Lakers Spirit" was born from our very first game and has remained a key part of our culture till today. It's very fitting that we now look back and celebrate what the last 20 years has provided which of course includes great team success in football and netball plus plenty of laughs and friendships formed that will last a lifetime. and the unforgettable year of 2010 when we won our first Senior Football Premiership, the same year we took home all 4 Netball Flags- an unforgettable weekend! The Lakers have won 8 Merv & Mary Howard Awards for the best club in the Ballarat Football League plus taken home over 25 League Netball awards and over 15 League Football Awards - including one "Henderson Medal" - Paul McMahon (2010). Many of our players have also represented the BFNL at interleague level plus we have also have two of our Club legends inducted into the BFL Hall of Fame - Peter "Joffa" O'Connell (2008) & Sally McLean (2014). The Ballarat Football Netball League Senior Netball Best & Fairest Award plus our own best and fairest is now the Sally McLean Medal and our senior football best and fairest is named in honor of our inaugural coach Joffa, and we can't forget our own Leigh Williams winning the Keith Lawrence Service Award for his contributions to the Ballarat Football League. Not a bad achievement after only 20 years of involvement in the Ballarat Football Netball League also not forgetting the sub-standard playing facilities we have had to endure for way too long until our positive news for 2015. Many of you will now be aware that we will begin our 2015 Season with a brand new oval! The Ballarat City Council have funded $1.1 million to re-develop our C.E. Brown Reserve, home of the Lakers, and it looks simply outstanding - the boys are raring to play their first game on the pristine surface the day of our reunion celebrations - Saturday May 2nd. At this stage, we are also hoping the new netball courts will also be ready for the start of the 2015 season which will be a welcome sight for our highly successful netball program. We have a big day planned for May 2nd given it will be our first home game for the season playing against Sebastopol (who co incidentally were the first team we played against in our first year). On this day we will also be officially opening our new oval and our juniors & seniors are all playing at home together that day. A VIP afternoon tea will be provided for those that have purchased a ticket to our Gala Evening which will be memorable event as we announce our All Star Football & Netball Teams of the first 20 years. It will be a night where we hope to see many old and new faces back at the Lakers so you can catch up with friends and supporters that you may not have seen for years. We hope you can join us for what is going to be a very memorable weekend. Many great people have experienced great times at Lakerland and we would love to see you return as we head into some very exciting times. Down load & print out the below form to get your tickets & email them to lakerslockerroom@msn.com and your tickets will be mailed out to you. As you can see it will be a great day of football and netball with both juniors & seniors playing against Sebastopol on the day. Presentation of All Star Teams. 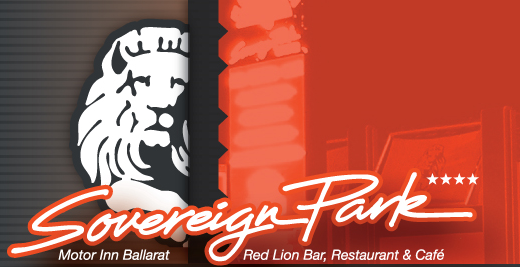 If you are coming in from out of town for our Reunion, and are looking for some accommodation, why not check out, not only three of Ballarat's Finest Accommodation places in Ballarat, but huge Lakers supporters. Give them a call, and mention that you are attending the Lakers 20 Year Reunion for some VIP treatment & to help us support those that support us.